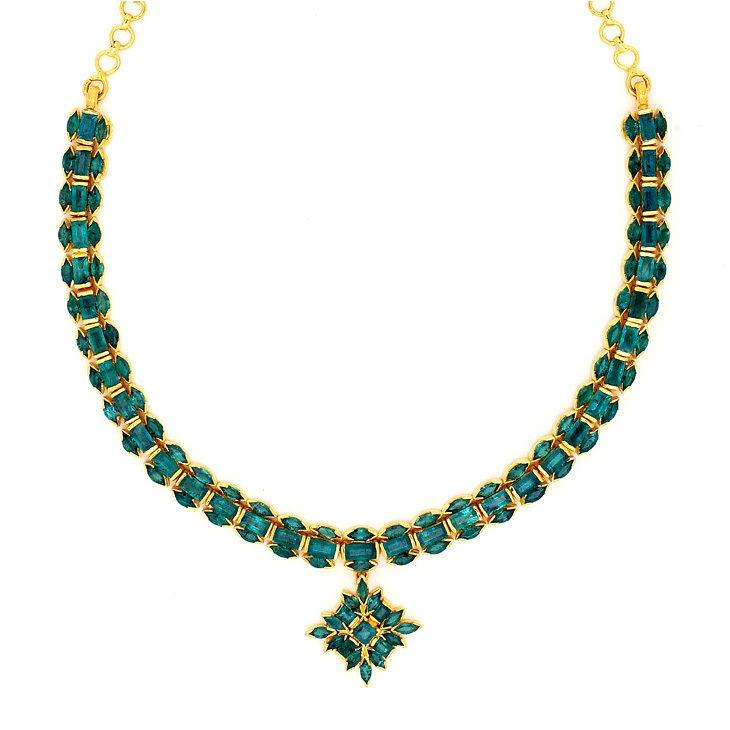 A necklace with trios of cut emeralds, such as might have been owned by Girion. [The] talk turned to the great hoard [of Smaug] itself and to the things that Thorin and Balin remembered. They wondered if they were still lying there unharmed in the hall below: the spears that were made for the armies of the great King Bladorthin...; shields made for warriors long dead; the... cup of Thror...; coats of mail...; the necklace of Girion, Lord of Dale, made of five hundred emeralds green as grass, which he gave for the arming of his eldest son in a coat of dwarf-linked rings the like of which had never been made before, for it was wrought of pure silver to the power and strength of triple steel. Bard... rewarded his followers and friends freely. 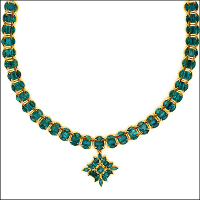 To the Elvenking he gave the emeralds of Girion, such jewels as he most loved, which Dain had restored 1 to him. He was a descendant in long line of Girion, Lord of Dale, whose wife and child had escaped down the Running River from the ruin long ago.